Failure is most certainly a possibility when it comes to marketing. After all, it’s nearly impossible to avoid mistakes given limited resources, rapid changes, and constant demands. Fortunately, most of the time marketers’ slip-ups are small and barely register with consumers. Sometimes, though, a snafu is big. Really big. So big that it makes it into the national, or even international, conversation and hurts a brand’s standing in the marketplace. This year there were a number of these epic marketing fails. Some occurred because of bad strategy, some because of bad execution, and some because of a combination of the two. All hold valuable lessons for brands. So, what are some of the biggest marketing fails of 2017 that you can learn from? Here are ten that stand out. 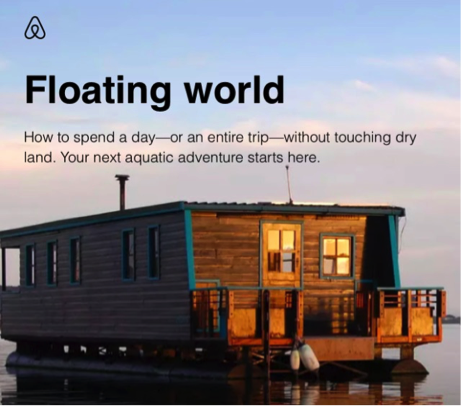 What: On August 28, 2017, Airbnb sent out an email featuring floating homes and “aquatic adventure” trips. The problem? Hurricane Harvey was pounding Texas on the day the message was delivered. Lesson for Marketers: Timing is everything. A campaign that’s innocuous when planned might not be so on the day it’s launched. Always be aware of what’s going on in the news and how it impacts what you have scheduled. What: McDonald’s brought back its Szechuan sauce—which appeared on U.S. menus briefly in the 1990s—for one day to appeal to Rick and Morty fans. Unfortunately, demand tremendously outstripped supply and many consumers were left angry and frustrated. Lesson for Marketers: Be prepared for success. On the off chance that your viral stunt actually goes viral, make sure that you can handle a surge in interest. This applies to everything, from product supply to staffing and Internet bandwidth. What: Ink Coffee in the Five Points section of Denver put up a sign reading “Happily Gentrifying the Neighborhood Since 2014.” Residents of the quickly changing area were not amused. The sign sparked a boycott, protests, and national media coverage. Lesson for Marketers: Sometimes humor isn’t the best medicine. What might seem lighthearted or tongue-in-cheek to you could touch a nerve with consumers. Think hard about how your jokey messaging will be taken before making it public. What: Drop, a new app, thought it could make a splash by dressing up a white horse as a unicorn and leading it around New York City. Unfortunately, the PR stunt happened on a gray, rainy day and the scene was more depressing than inspiring (it was dubbed “the saddest thing you’ll see today in NYC”). Lesson for Marketers: In the immortal words of Elsa from Frozen: Let it go. If conditions aren’t right for your idea, cancel or postpone. A non-event is almost always going to be better than a poorly executed event. 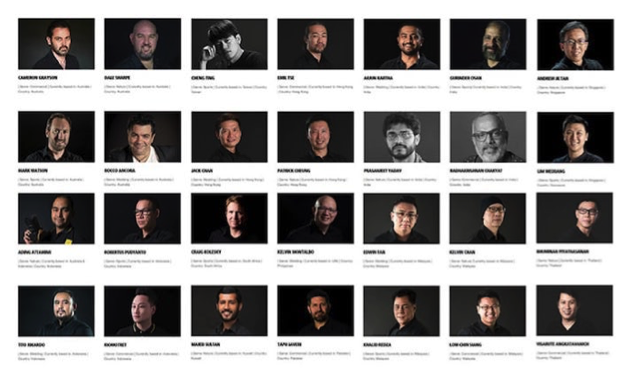 What: Nikon chose 32 professional photographers to test drive and promote a new camera. When the press release about the panel went out, consumers quickly noticed something: not a single one of the people chosen was a woman. Reaction online and in the press was harsh. Lesson for Markers: Diversity matters in all aspects of your marketing, from advertising campaigns to influencer programs. Consumers will judge the efforts of your brand across all formats, platforms, and channels. What: To spark interest in an upcoming announcement, Snapchat shared a post which included a link to a site that cryptically only featured a countdown clock. Savvy consumers quickly realized that they could trick the site into revealing the big surprise (a partnership with artist Jeff Koons) by changing the time on their computers. Lesson for Marketers: There’s a reason Apple operates like a spy agency: keeping secrets is very, very difficult. If you’re planning a campaign with a big reveal, ensure that every little detail—from getting all NDAs signed to securing every piece of marketing collateral—has been properly taken care of. What: KLM tweeted out an image of different airline seatbelt combinations to celebrate Pride Amsterdam. Some social media users quickly noted that only one of the three pairings depicted—the traditional one—actually fastened securely. Lesson for Marketers: Part of why the tweet sparked a vitriolic back-and-forth online, and got picked up in the media, is that some saw KLM’s tweet as inoffensive while others saw it as tone-deaf. That in itself is a lesson for marketers: often it helps to have multiple people internally look at a post; sometimes reactions will differ in surprising ways. Lesson for Marketers: The obvious lesson is that you should avoid posting things that imply you support racial superiority (it’s never a good sign when white supremacists endorse your marketing message). A more subtle lesson is that in our interconnected world, campaigns no longer have borders; it’s very possible that something you share in one market will quickly be noticed in another. What: A social media user asked Wendy’s a simple question—“Got any memes?”—and the chain responded by posting a mashup of its iconic Wendy character and the Internet-famous Pepe the Frog meme. The problem was that Pepe had evolved into a mascot of the alt-right. Lesson for Marketers: Wendy’s is often cited as one of the best Twitter brand accounts, and deservedly so. The company has done a brilliant job of creating a (snarky) voice and tapping into the current zeitgeist. Yet even this best-in-class firm got caught flat-footed and missed the rapidly changing meaning of a meme. Never forget that the Internet moves very, very fast. What: Finally, the biggest marketing fail of 2017: Pepsi’s commercial featuring Kendall Jenner. The ad showcased the model/reality star effortlessly uniting police and protesters—seemingly implying that the world’s problems could be solved by simply sharing a soda. Lesson for Marketers: “Pepsi’s new Kendall Jenner ad was so awful that it did the impossible: It united the Internet.” That was WIRED’s take on the commercial, and it summed up the general reaction. The irony is that the piece angered everybody primarily because it wanted to anger nobody. By striving so hard to be inoffensive—by highlighting a non-political celebrity, a generic protest, and a trite message—Pepsi came across as cowardly and phony. That, ultimately, is a lesson brands should remember long past 2017—when it comes to marketing, the most important thing will always be authenticity. Stay up to date on the latest in marketing strategy and advertising. Contact MDG Advertising today at 561-338-7797 or visit mdgadvertising.com.